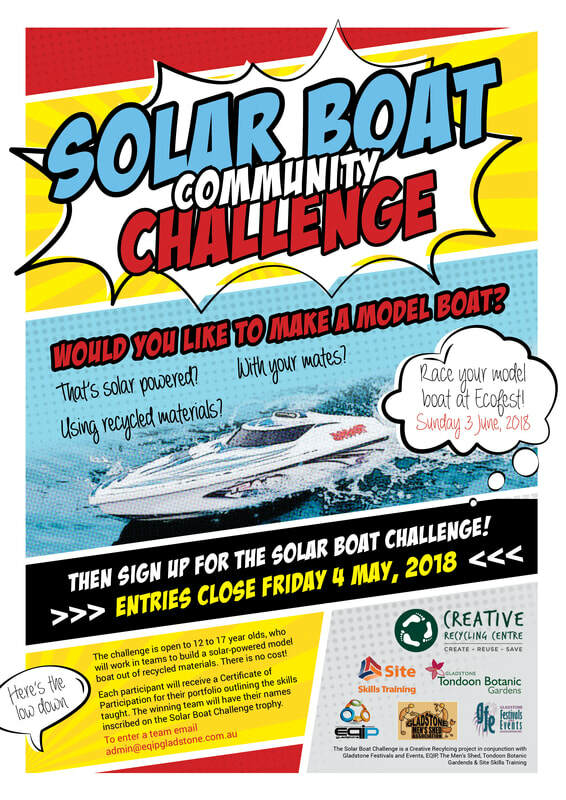 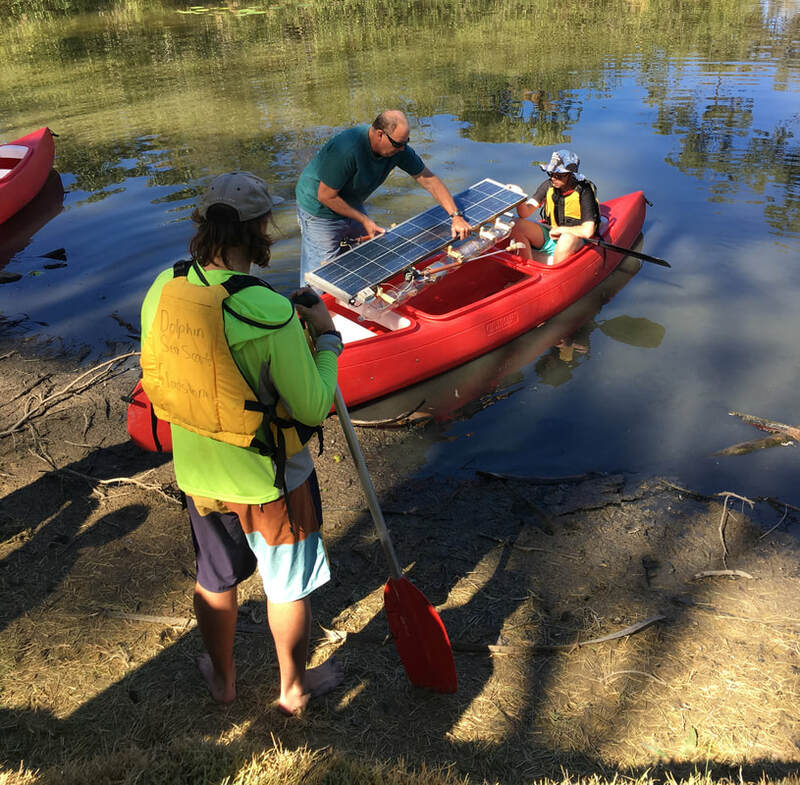 2018 was the birth of Creative Recycling centres Solar Boat Community Challenge. 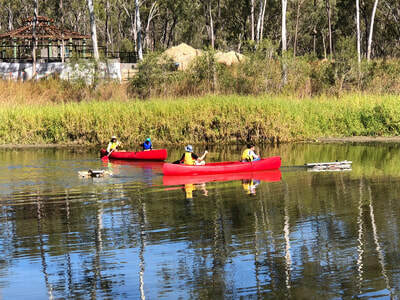 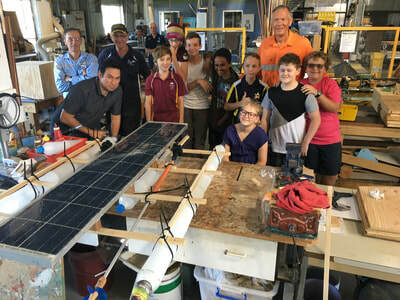 Twelve to seventeen year-olds were invited to participate the Creative Recycling Centre’s Solar Boat Community Challenge. 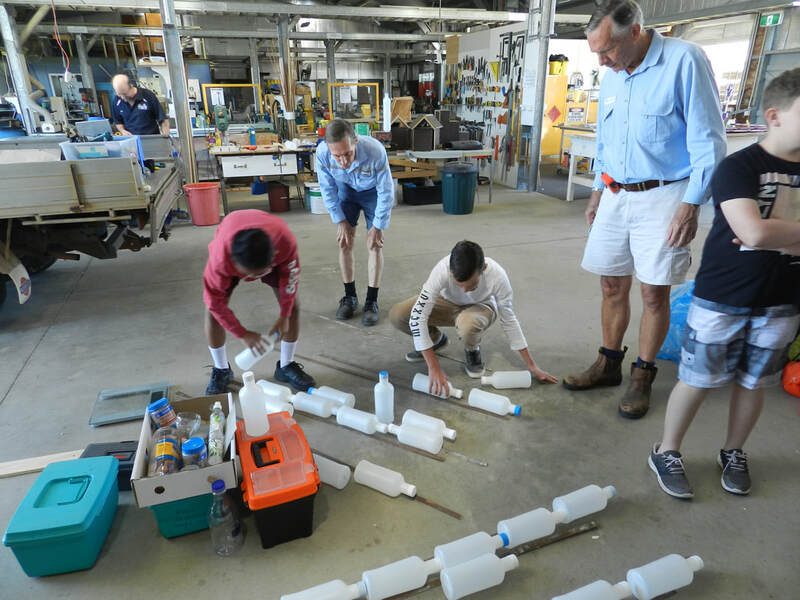 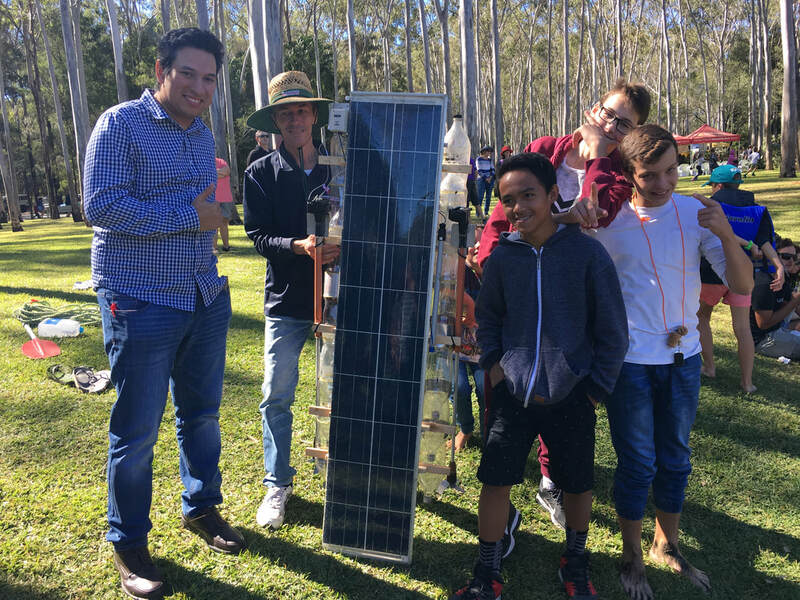 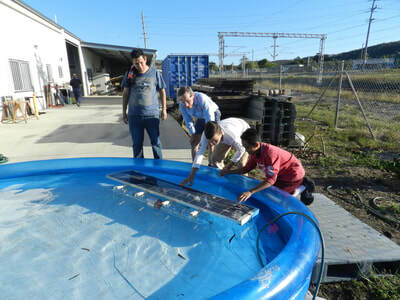 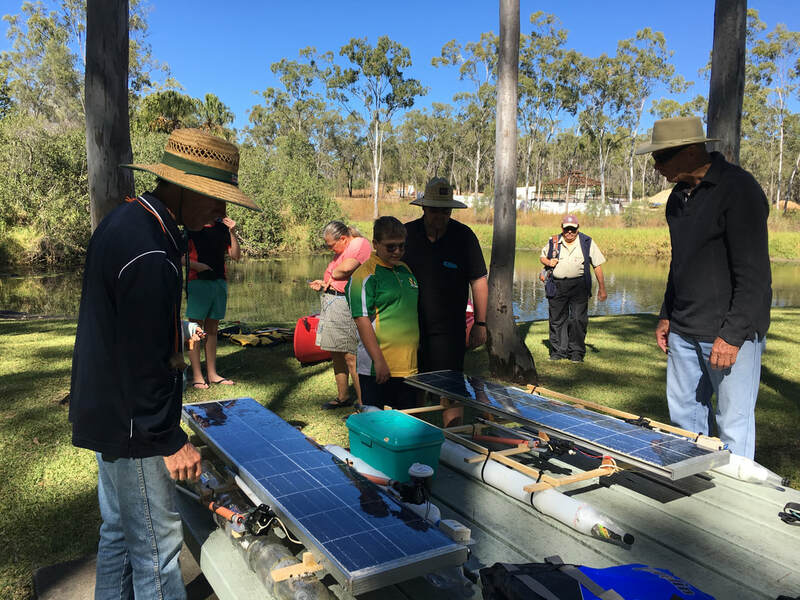 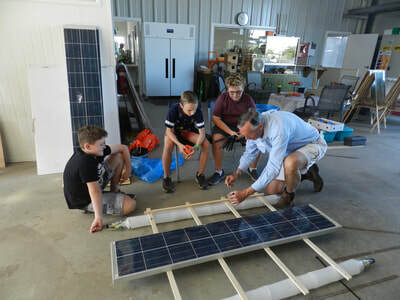 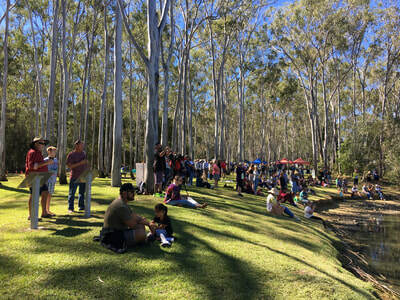 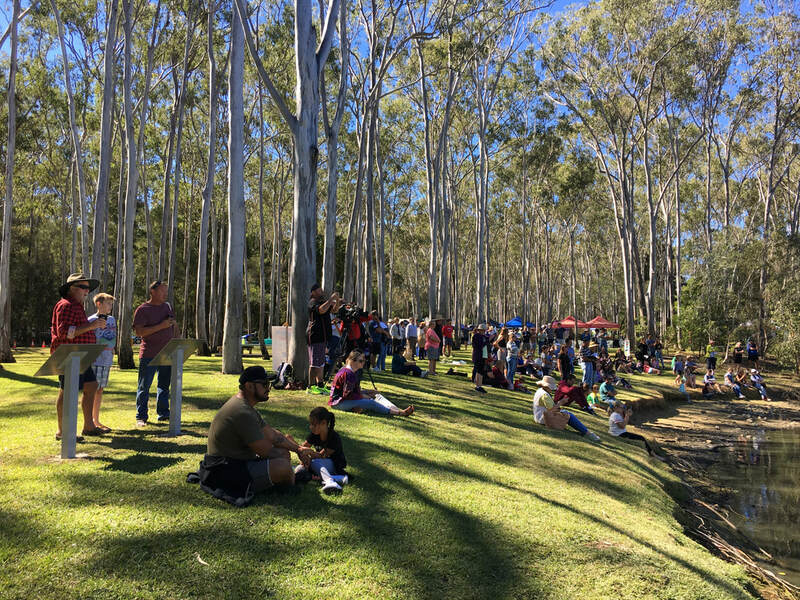 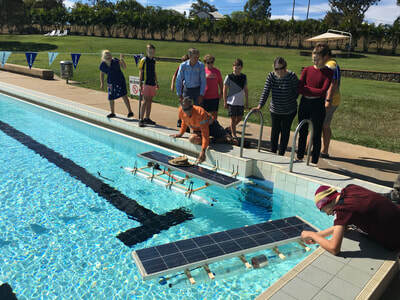 The challenge was for young Gladstone residents to form small teams to build a solar-powered model boat out of recycled materials to be raced at Ecofest. 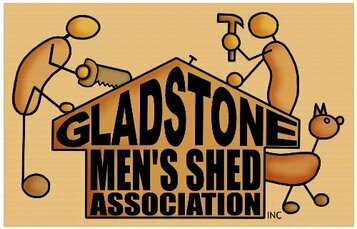 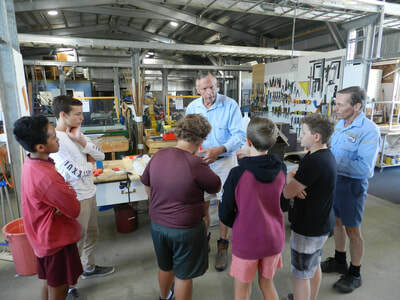 Workshops were run over two consecutive weekends at the Men's Shed in Gladstone. 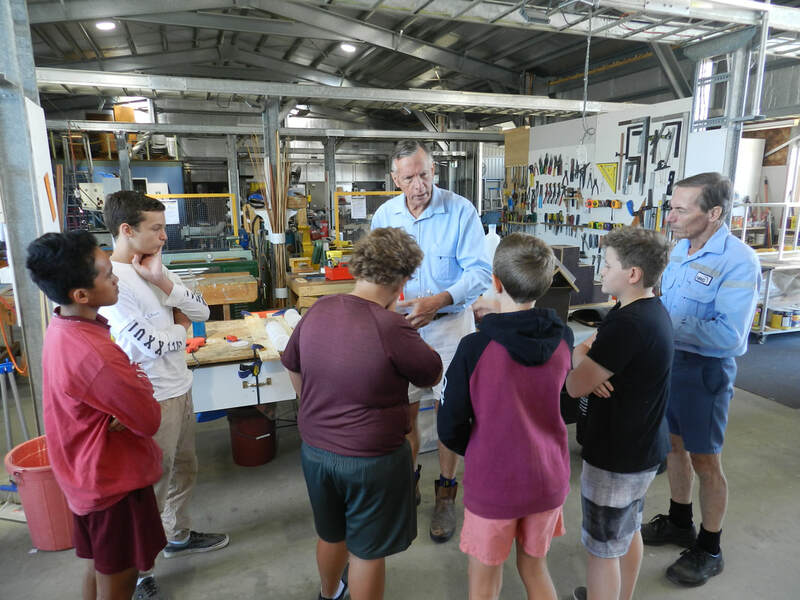 The teams were supported with the expertise and guidance of locals Malcolm and John Leinster. Participants learned about recycled materials, designing of hulls and construction including propellers and solar power. The solar boats were the big attraction at Eco Fest drawing huge crowds to watch the Solar boat Challenge. The winning team was "R.E.B.S" they were presented with the Solar Boat Community Challenge perpetual trophy, created from recycled materials by local artist Rosemary Anderson. 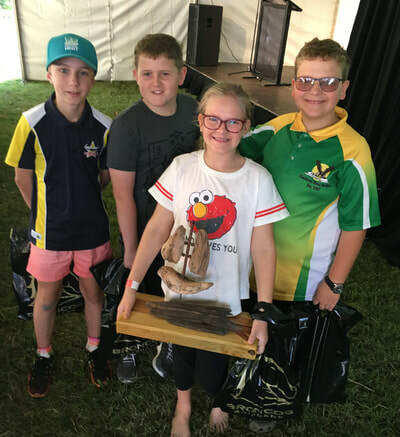 Congratulations to all the students that participated this year. 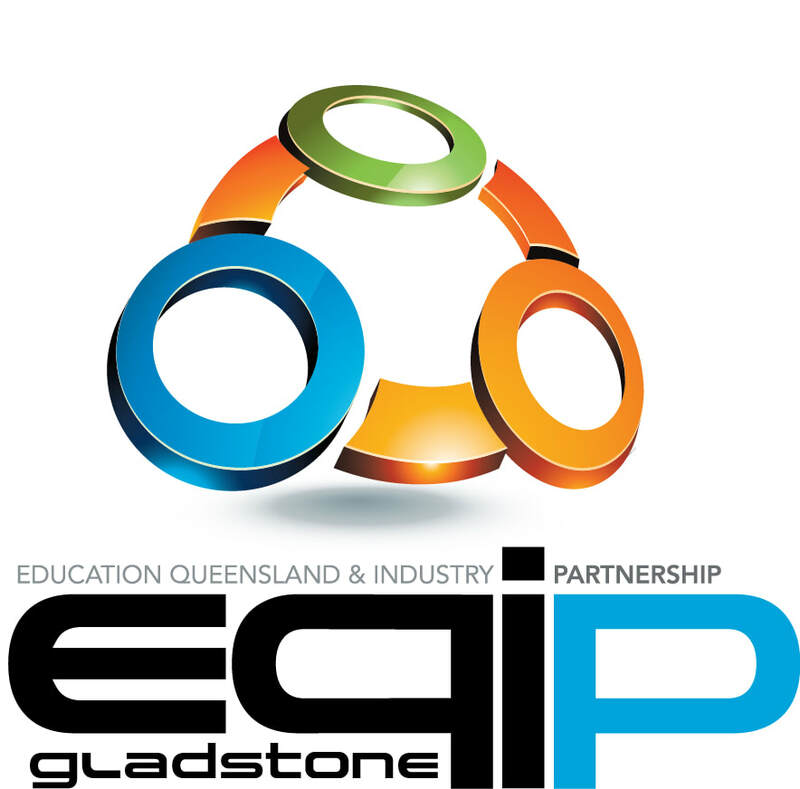 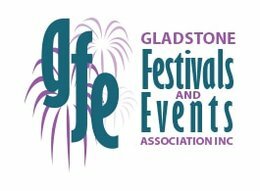 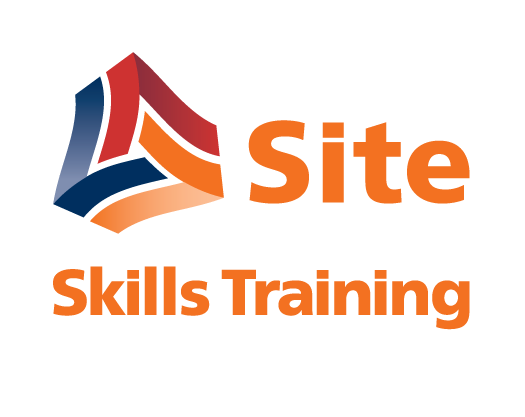 The Creative Recycling Centre would like to thank its sponsors and partners for this project including EQIP Gladstone, Gladstone Festivals and Events, Tondoon Botanic Gardens, Gladstone Men’s Shed, Site Skills Training and Dolphin sea scouts.